I am super excited to share my latest blogging event with you guys! 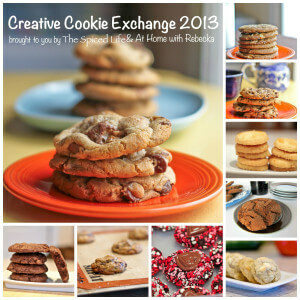 It is called Creative Cookie Exchange, and, well, I started it! This makes me feel extra brave, which probably makes you think I don’t get out much. I love Chocolate Party and Bundtamonth, and I really wanted a similar group for cookies. Maybe so I can justify how many of them I make. Whatever the reason, I really hope you will check out everyone’s cookies, and if you are a blogger who is interested in joining us, please get in touch with me. I found the recipe in Maida Heatter’s Cookies , which I had picked up used recently. On the one hand, it does not have any photos and that is a bummer. On the other hand, Maida Heatter knows what she is doing and her recipes are classic. The recipe originally used walnuts, but other than that I did not change much. The only complaint I might have about the recipe is that it is huge. And honestly it is not much of a complaint because I just sent half the cookies into my husband’s class (don’t you wish you had a college professor with a spouse like me?). And I only did that because I was in danger of eating them all in an embarrassingly short span of time. 1. 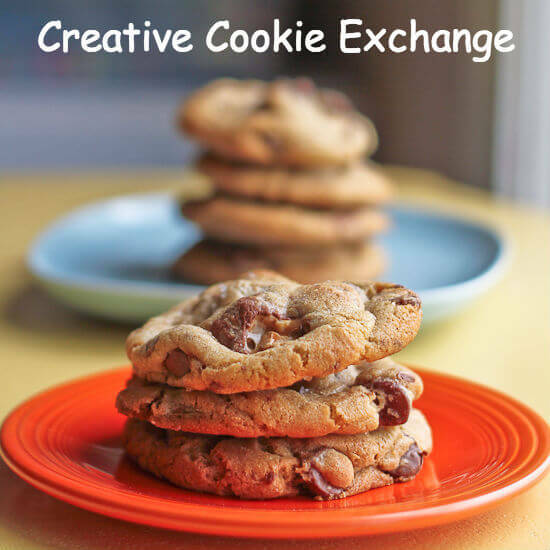 Write a blog post with recipe and original photo with a Back To School cookie. We would like the recipe to be one you’re making for the first time, and photos must be original. Place a rack in the bottom third of your oven. Preheat the oven to 350 F. Grease (or line with silicone or parchment, which is what I did) a 15X10X1 jelly roll pan (cookie sheet). Set aside. Using an electric mixer, cream the butter. Add the instant espresso and beat to incorporate. Scrape down the sides and bottom of bowl. Add the sugar in 2 installments, beating to incorporate after each one. Add the vanilla and beat until lightened and fluffy, about 3 minutes. Add the eggs, one at a time, scraping down the sides and bottom of the bowl as needed. Beat to incorporate. Add the flour mixture and mix on the lowest speed until mostly incorporated. Add the oats and mix on low until mostly incorporated. Scrape the sides and bottom of the bowl. Add 1 cup of the pecans and mix until everything is completely incorporated evenly (but do not overmix). Remove 2 cups of this dough and set aside. Press the remaining dough into your prepared jelly roll pan. It will take a moment because it is a large pan, but fear not it will all fit. Set the pan aside to work on the filling. I used a heavy bottomed pot and a very low heat and watched it carefully, stirring often--but if this makes you nervous use a double boiler. At any rate, melt the sweetened condensed milk, chocolate, salt and butter together on very low heat. Stir until smooth and remove from the heat. Stir in the vanilla. Pour this warm chocolate mixture over the dough pressed into the pan. Sprinkle the remaining dough in clumps over the chocolate--do not try to cover all the chocolate. Sprinkle the reserved pecans over the top. Then finish by sprinkling vanilla salt to taste over that. Bake for 25 minutes, or until the top is golden brown. Reverse the pan from front to back halfway through. Cool completely in the pan on a cooling rack before slicing. I used a bench scraper to cut nice slices without damaging my nonstick pan or the silicone mat. We did not need to store these in the fridge, but if your kitchen is particularly warm, you may need to store the bars in the fridge. *As always affiliate links were used in this post. I only use affiliate links where I would be talking about and linking to a product anyway. What a great idea I’m going to try and bake some cookie and join in, your cookies look great. 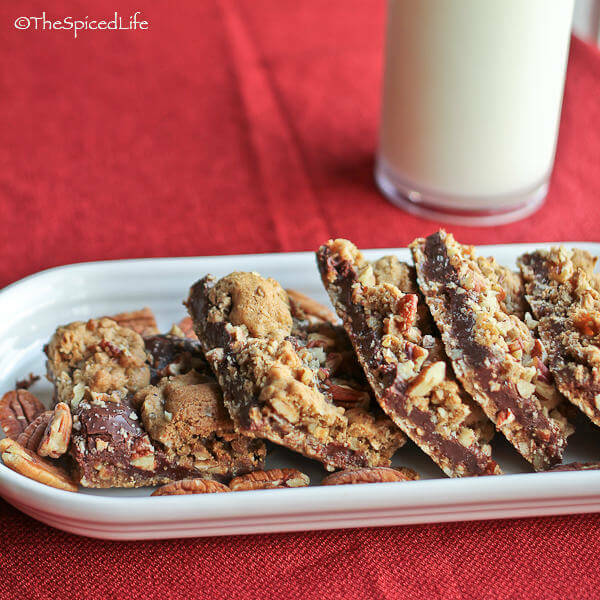 Chocolate nutty delicious cookie bars. Definitely something I’d love to come home to. And eat far too many of. Bar cookies are so much fun because they can be stuffed with all kinds of extras without falling apart. And, oh my double goodness, that chocolate condensed milk layer?! These are fabulous, Laura! Thanks so much for hosting this cookie extravaganza. Prior to this I think I only had only posted two cookie recipes in all my two and a half years of blogging. Time to step up my game! Yummy! Your bars looks amazing Laura! I’m so happy to be Co-Hosting the event with you, and looking forward to what’s ahead. Oh my goodness these beauties look positively addictive!! I have that book, but frankly, I had forgotten about it. You’ve inspired me to get it back off the shelf. Every recipe I’ve made from it has been wonderful, so you can’t go wrong. Thanks for starting this group! I’m thrilled to be a part of it and my kids are happy that it’s not some sort of veggie group! They thank you too. You know a cookie is delicious when you have to send half away and out of the house so that you don’t eat them all! These look wonderful. thanks for creating this group– looking forward to next month already! Thanks for the GREAT opportunity to bake cookies with you this month! I love bar cookies since they travel so well. Did you know that in Australia they are called a slice? Your cookies look so addictive, so after one I would definitely have to send them to school with my girls so that they can share them. And thanks so much for all of the hard work you have put into getting the group up and running. I’m so glad you came up with the Creative Cookie Exchange! I love baking cookies. It’s going to be big fun to see what is shared each month. 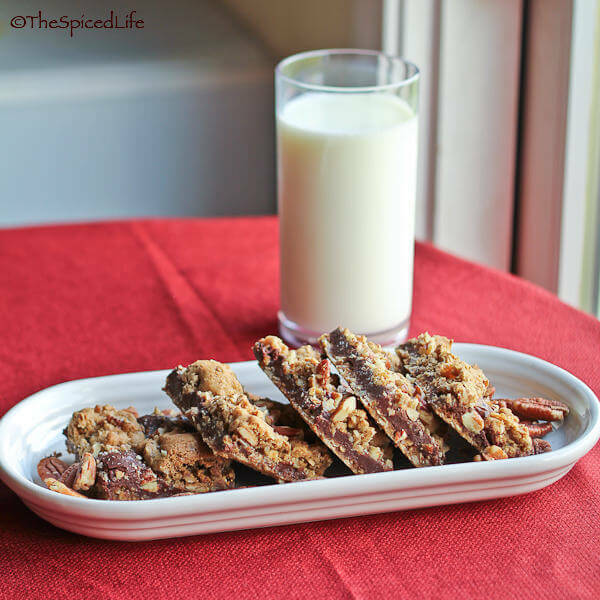 Oh, and your bars… chocolate and pecans = enough said. These would whisper, no wait, scream my name at all hours of the day and night. Oh man Laura, those look so good and your photos are gorgeous! Pinned them! These look so good! I’d be thrilled to take them to school with me ;). Totally gonna get in on this CCC action after I’ve had some more time to get creative baking experiments under my belt. 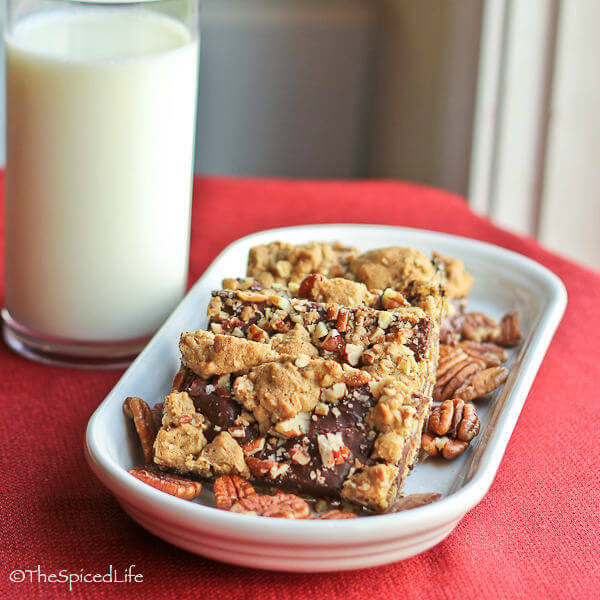 Your chocolate cookie bars are beyond, Laura! Love the addition of espresso, too. Those are nice looking bars!